The Russian rouble had a generally subdued 2010. Capital outflows, easing interest rates throughout much of the year, and a less overt presence by the central bank of Russia all played a role. The Russian currency traded within a range of 30-32 against the US dollar with volatility in Europe meaning it moved considerably more against the euro from 42 at the start of the year, as low as 37.5 in May as the Greek bailout crisis unfolded, and then back towards 41 later in the year.This came as major commodity currencies including the Australian, Canadian and New Zealand dollars, as well as the Chilean peso and South African rand all climbed aboard surging commodity prices to nudge all time highs against both the greenback and the euro. Ivan Chakarov, Chief Economist for Russia and CIS countries at Bank of America Merrill Lynch, believes the relative weakness of the rouble during the second half of 2010 stemmed from three key factors. Julia Tseplyaeva, chief economist for Russia and CIS countries at BNP Paribas, saw a further factor in the departure of former Moscow mayor Yuri Luzhkov in September as contributing to rouble underperformance. Heading into 2011 Chakarov from Bank of America Merrill Lynch believes the pressure on the Russian currency will abate, and with oil prices edging higher he sees upside for the rouble. Julia Tseplyaeva is also seeing a stronger rouble in the coming year, largely on he back of currency inflows replacing the outflows of 2010. More gloomy about the rouble outlook is Troika Dialog’s Anton Stroutchenevski who says it could weaken with inflation and the increasingly hands off management role of the central bank playing a part. 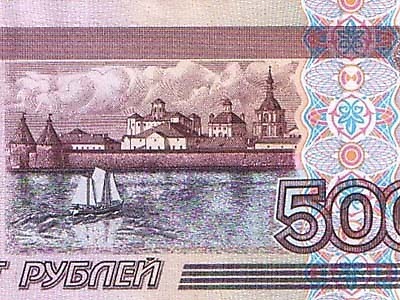 Tseplyaeva also sees the rouble moving closer to becoming free floating in the coming year.